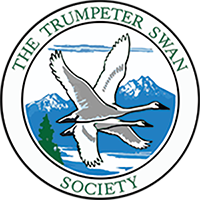 Minnesota's Trumpeters Exceed 5000 in Five-Year Survey This article features TTSS Board Member Larry Gillette and chronicles a remarkable chapter in the success of Trumpeter Swan restoration. The return of trumpeter swans to Minnesota is considered one of the state's great wildlife success stories. Consider that just more than 40 years ago, trumpeters no longer existed anywhere in the state. Up until the 1970s you have to go back to the mid-1800s to find record of trumpeter swans in Minnesota. With the aid of some dedicated individuals and an accelerated swan restoration program, the trumpeter swan is back and more prevalent now than anyone could have expected. 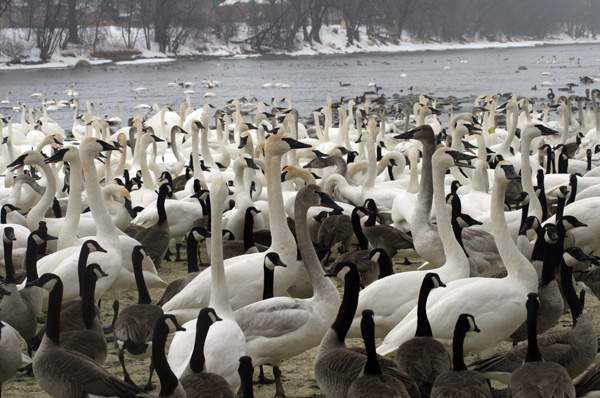 A statewide aerial survey conducted in January revealed that the current population of trumpeter swans in the state has more than doubled in the last five years.